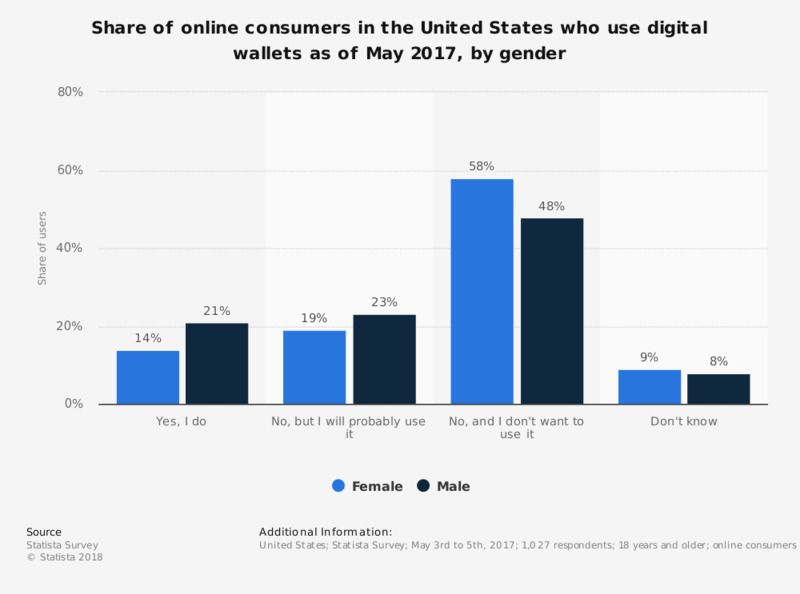 This statistic presents the share of online consumers in the United States who use digital wallets, sorted by gender. During the May 2017 survey, 14 percent of female respondents stated that they used digital wallets and 19 percent did not use digital wallets but were probably going to. [digital wallet] Do you personally use any of the following services?